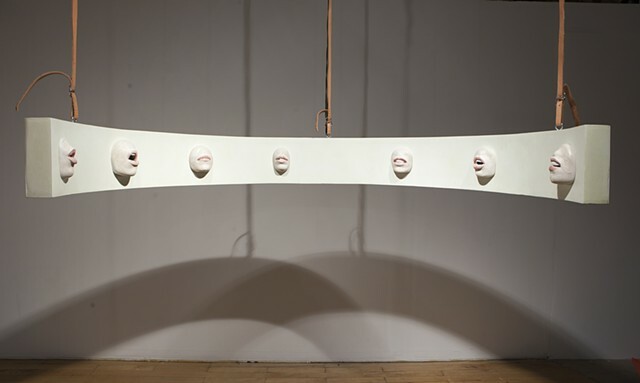 This sculptural installation draws viewers into its proscenium like space with the seductive tones of a womans voice. Seven life cast mouths, captured in a moment of speech, invite the viewer to put their ear to the lips of the casts to better hear the womans seductions. The audio is played back in 5 channels, which creates a call and response effect. You can listen to a short, excerpted stereo version of the 5 channel soundscape here.